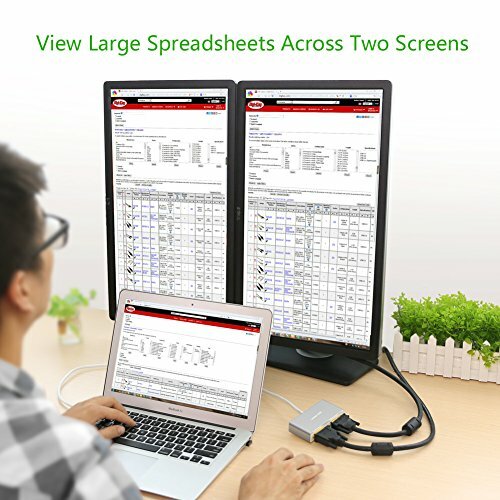 Product prices and availability are accurate as of 2019-04-15 06:59:56 EDT and are subject to change. Any price and availability information displayed on http://www.amazon.com/ at the time of purchase will apply to the purchase of this product. 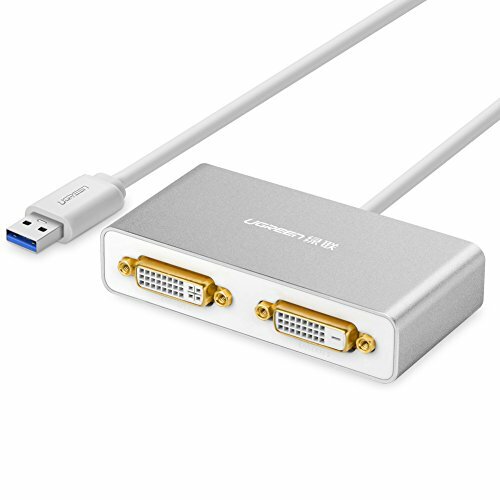 USB 3.0 to dual DVI/HDMI/VGA video card adapter allows you to easily add 2 external DVI/HDMI/VGA monitors, displays, HDTVs simultaneously to your desktop or laptop through a single USB 3.0/2.0 interface (support max 6 monitors on Windows PC, one adapter support 2 monitors). It saves you the trouble of opening the computer case and risk to void manufacturer warranty. 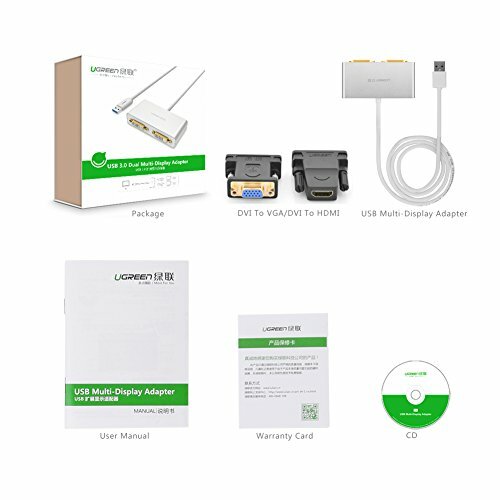 SuperSpeed USB 3.0 data transfer rates 5Gbps, also backwards compatible with USB 2.0 ports It adopts the latest DisplayLink DL-3900 chipset, and supports monitors, LCD, displays, projectors with DVI, HDMI or VGA interface(2 DVI adapters included). DVI (24 +1) output: support DVI and HDMI; DVI(24 + 5) output: support for DVI and VGA. Supports resolutions up to 2048*1152 @ hz (1920 x1200 for analog VGA). NOTE: When connect both HDMI and VGA outputs, pls plug a micro usb cable to offer extra power(micro usb cable not included). 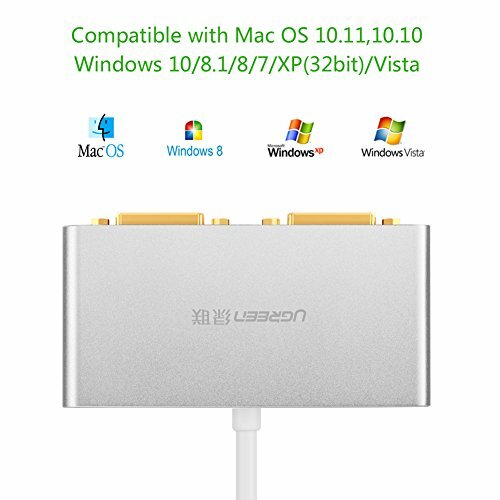 Synchronized Audio & Video: DVI and VGA can only process video signal, this adapter additionally provids with a 3.5mm line-out jack. 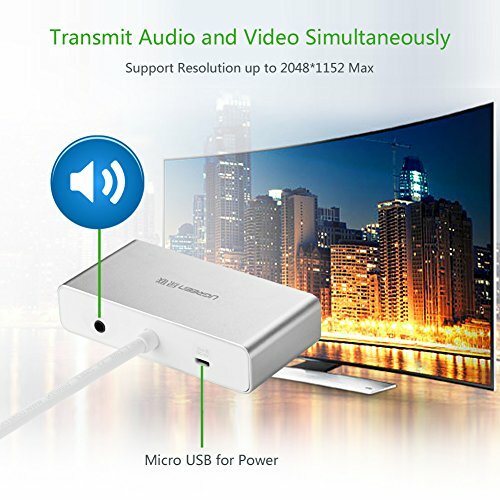 Let you connect this adapter to your TV or external speakers through a 3.5mm jack audio cable(sold separately). (Sound settings: Sound-Output-USB Audio). 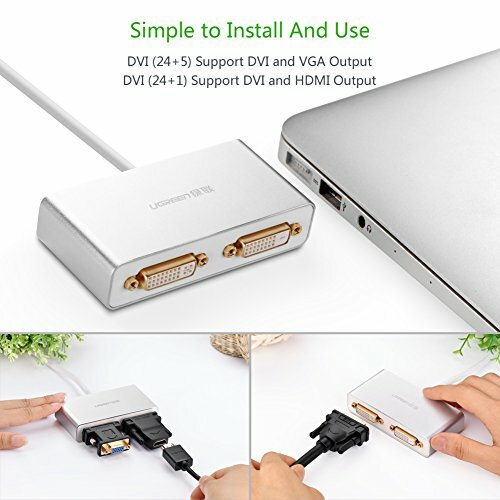 However, when you connect this adapter to HDMI displays, audio and video would be transfered simultaneously over one HDMI cable, no need extra audio cables Multiple Functions: support Mirror, Extend, Rotate, Primary(set as main screen); Aluminum case design, with better heat dissipation. USB 3.0 cable length: 20inch;Micro USB female is optional for power to enhance stable performance Great Compatibility: support Windows10/8.1/8/7/XP, Mac OS 10.6/10.7/10.8/10.9/10.10/10.11 El Capitan(drivers via Windows Update, direct download, or disk available). DO NOT support for Linux, Chrome OS and Mac OS 10.13 and above.). For latest Windows 10 and Mac OS 10.11 EI Capitan driver download, welcome to contact us. LED, HDTV Store is a participant in the Amazon Services LLC Associates Program, an affiliate advertising program designed to provide a means for sites to earn advertising fees by advertising and linking to Amazon.com, Endless.com, MYHABIT.com, SmallParts.com, or AmazonWireless.com. Amazon, the Amazon logo, AmazonSupply, and the AmazonSupply logo are trademarks of Amazon.com, Inc. or its affiliates.